Hello I'm new to the forums so I'm just going to post this. I was wondering about the old maps from star wars battlefront 1 on xbox one and PS4. and I really liked those maps and I wish EA would bring those maps back to star wars battlefront 2 for more battle fun. I really like the Rogue One maps because those maps were from the movie and please make the Tie Striker flyable I mean I have a Lego toy version of the tie striker and I wish it was flyable for the game. and also bring back battlefront 1 skin characters from battlefront 1 plus the weapons on battlefront 1. 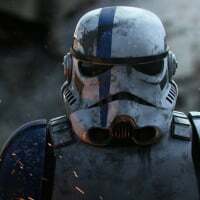 Battlefront 2 is more fun to play then battlefront 1. if only EA would bring most of the stuff from battlefront 1 to battlefront 2 and then we could all be happy with something to enjoy and one last thing. bring back private matches for players to play with friends rather then playing with random players on multiplayer or to make a clan battle or exploring with friends and etc or put that in arcade. I hope EA responds to this message and what idea's should be in Battlefront 2. if you guys think about this message. we as a gaming community could tell EA and make Star Wars Battlefront 2 even more fun and the Han Solo update was great. thank you EA for making star wars battlefront 2 more fun as it was on the release of the game. Thank you and May The Force Be With You... Always!